Thank you all for participating in my first ever blog giveaway! 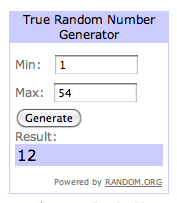 I was so surprised to end up with 54 entries! (I took out the mini-conversation between myself and my brother-in-law in the middle) I was afraid no one would enter, so thank you all for stopping by and playing along! Heidi from "What's Going on in Heidi's Head"
Heidi - I'll be sending you a DM shortly to get your address, and I'll get your photo frame in the mail by the end of Saturday! Again, thank you all for participating! I hope my video gave you fun ideas for a craft! The next post will roll out on Monday. Come back then to read about what's in my Disney bag of tricks when I head to the parks. Hehe. Yes, I know he's bummed he didn't get that Disney frame (or a date with me which would have come with it)!